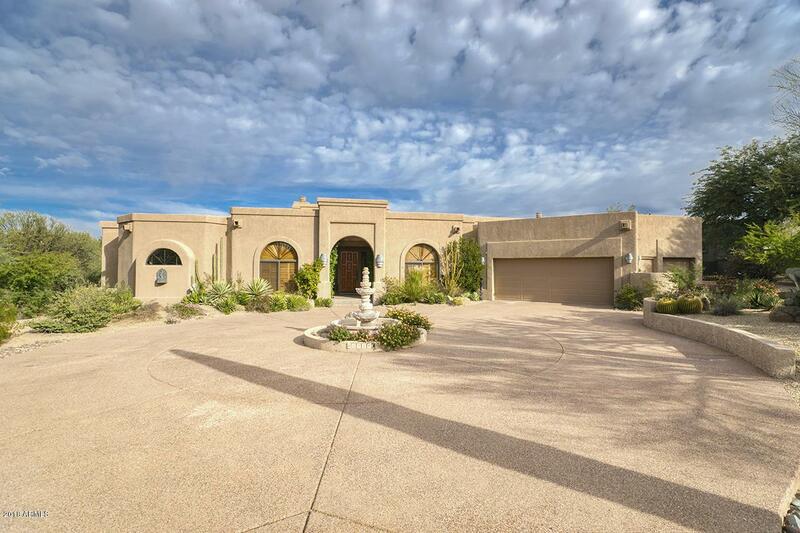 Nestled on a quiet setting in The Boulders private gated community this custom built 3 bed 2.5 bath home awaits you. 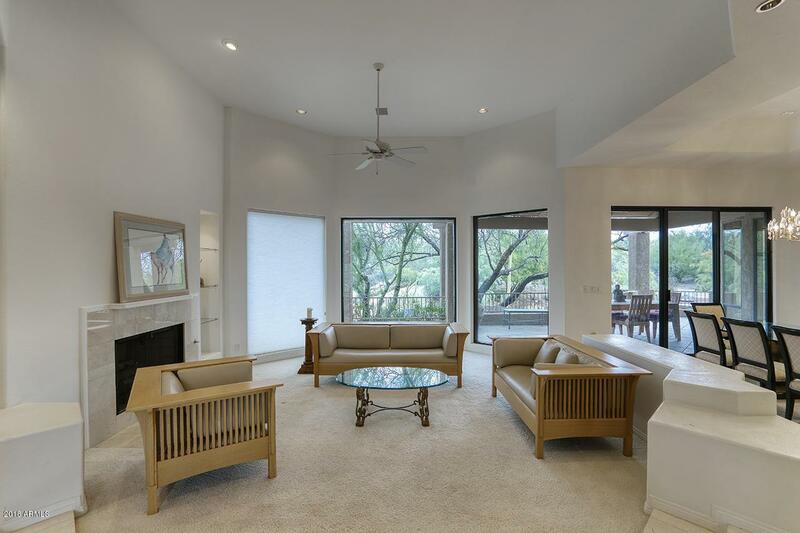 Featuring a clean neutral aesthetic it is move-in ready! 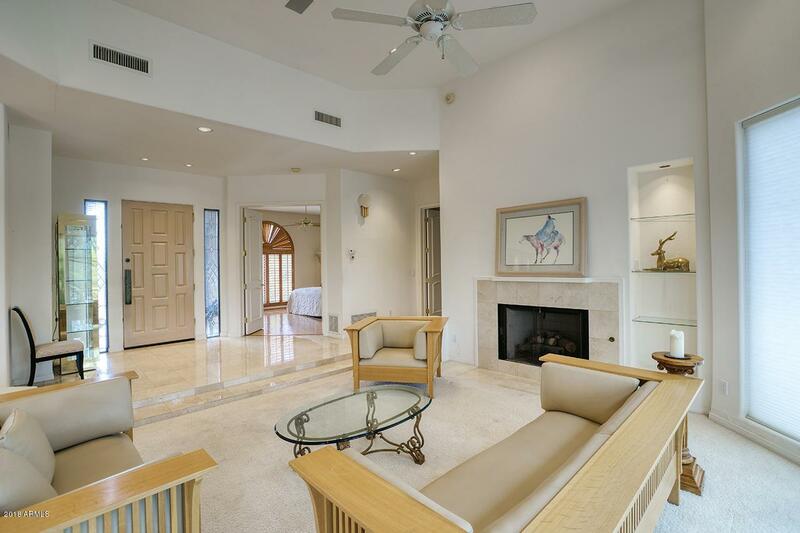 Entering you are greeted by an open floor plan with ivory marble floors and soaring 20' ceilings leading into the family room and adjacent formal dining area. 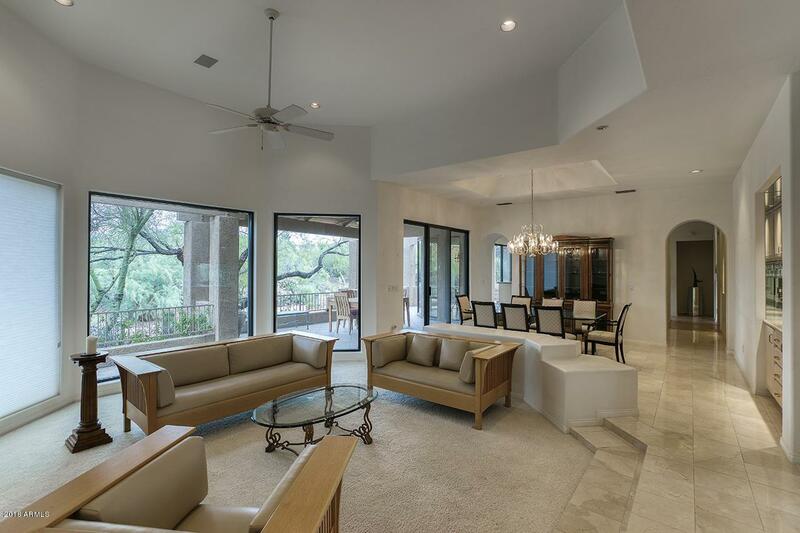 Floor to ceiling windows open onto a covered back patio with expansive views of the Sonoran desert. Both Family and Living rooms have a gas fireplace and included is a built-in entertainment centre and mini bar. The open kitchen has a bright and light filled breakfast nook. The large master bedroom boasts two walk-in closets and a jetted tub in the ensuite bathroom. The spacious two car garage has a golf cart alcove and built in storage.